For more information consult the F.A.Q..
You want to publish content? Do you need help? Consult the FAQ section! This site does not use profiling cookies, technical cookies only to allow the use of the service. For more information consult the Policy. There was a problem while loading the video! remaining to expiration of the Dib. 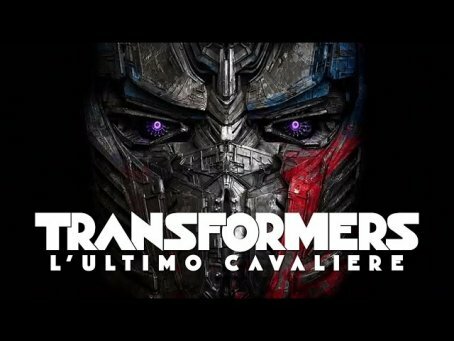 Attesa per l'uscita nelle sale del quinto capitolo della spettacolare serie dedicata ai Transformers e diretta da Michael Bay. Protagonista, come nel precedente capitolo (Transformers 4 - L'era dell'estinzione), sarà Mark Wahlberg. select one Dibly corresponds to your thoughts. You can enter Tag, Link e Mentions. We remind you that it is absolutely forbidden to send comment with offensive content. We will see it and if it does not conform we will remove it.